Hiya! Welcome caring cuties to the new and improved site á la Earthsprout. Boy what a journey life is, aint it not? In a little more than a year I have moved to Andalusia, lived in the sun 100% aligned with the garden and then moved back to Sweden and my roots. (And this time I know that I´m actually staying!) Earthsprout has grown in a pace that I can barly describe or even grasp. Anyhow, I invite you to click around like a crazy person on this new site. Read some old posts (though I have only included those that are no older then a year), learn fun and fab things about my journey under the tab ”Elenore”, get to know what my company and work is all about under the tab ”Earthsprout”, pin some recipes but above all: Sign up for the newsletter and get a free copy of the Greenylicious Manifesto, you do not want to miss out on that treat I´m telling ya! I´m not really sure what to say except that I´m so so grateful to be able to share this Earthsprouty love with you all! And with that said, let me present the second list of Totally Earthsprout Approved things that have in some way touched my heart or/and made me giggle. 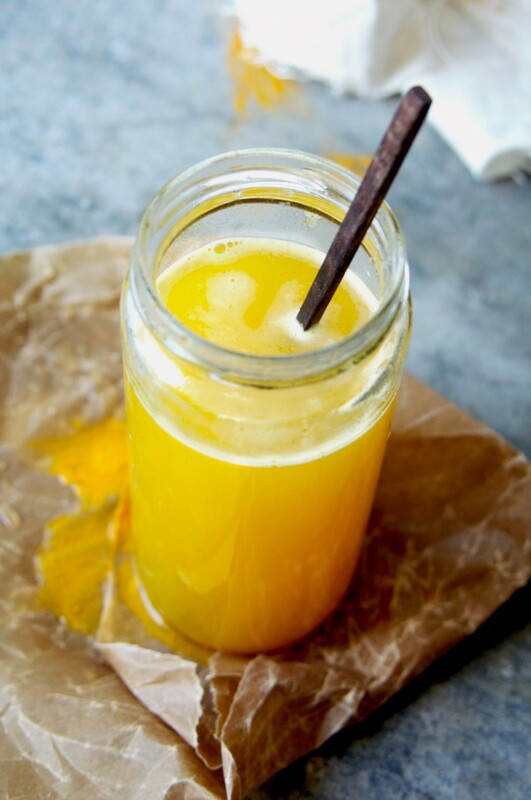 Oh, and I´ll share the recipe of my morning routine, the Golden Detox Drink as well! 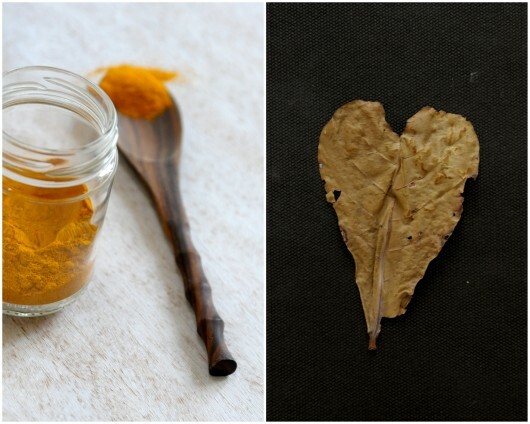 The time has come for wild foraging and I´m dancing around the forests, collecting nettle, dandelion, the first edible flowers and other ”weeds”. Yummie says my tummy and who says no to free, organic, loving greens?! Big thanks to Golubka and Green Kitchen Stories for wanting me to guest post on their amazing & stunning sites. Still blissing out over that fact! I´m a part of this tremendously great project held in the south of Skåne for women undergoing some form of cancer treatment. Playing with the healing powers of tasty raw foods! Today it´s Pizza day! I´m reading the Kryon books at the moment and loving the way I remember that we are our own best teachers by being in tuned with ourselves. Magic is all around, fabulous! I have always thought that www.Rawfoodrecipes.com was the only really high quality collection of raw recipes. Now I´m a featured chef! Wohoo! I have come to the conclusion that it´s always best to let Fabian make the Raw banana ice cream for us. Then I´m not really aware of how much of the sweet freezed stash he actually takes! Ah blissed and yummy ignorance.. If you have not been over at The First Mess, you should most definetly go there now. I´m having a spring fling with all of Lauras recipes! Like these ice cream cookies or this green goddess pizza. 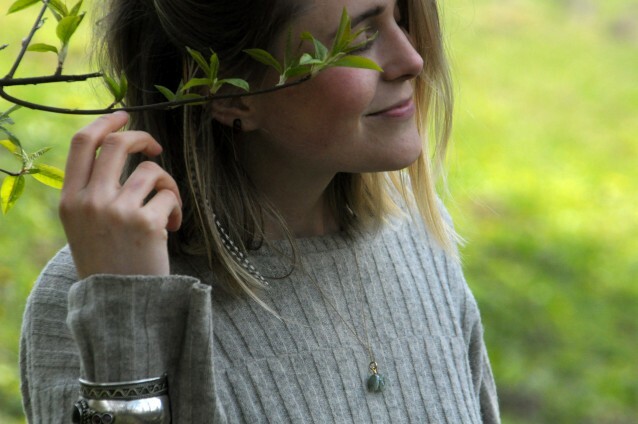 A true gem in the world of healthy and super inspiring blogs. Are you living in Sweden or ever in Malmö, then visit the pride of the city, Raw food House. I went there a few days ago for a green glistening juice and a full moon crafted raw chocolate bliss ball, packed with superfoods and full moon grace. And last but not least, THE GREENYLICIOUS MANIFESTO! A love list of 21 things that are the roots and heart of both me and Earthsprout. Sign up for the powerful, nutty, tastylicious and gorgeous newsletter just here to the right and get your own copy of the manifesto to put on your fridge! Superhero Adventure! This is what I drink upon rising and I really try to make this every day. When I do, my day starts off right and it seems like everything just falls into place. Turmeric and its major active ingredient curcumin are among the top most clinically studied spices today with many many positive effects on our body’s. 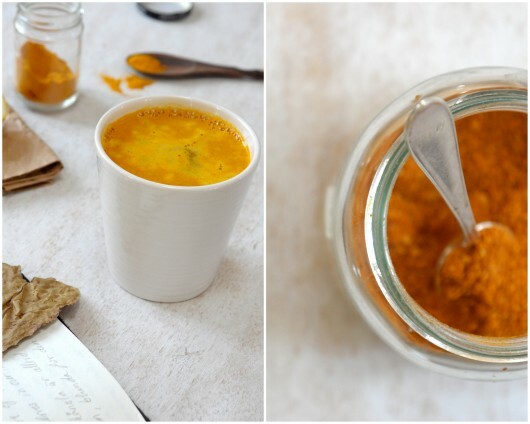 The chili, turmeric, ginger and lemon all kicks in to both strengthen and awaken your digestive & immune system, the heart, skin etc. The black pepper helps increasing the bioavailibility of the turmeric so that’s a great addition. 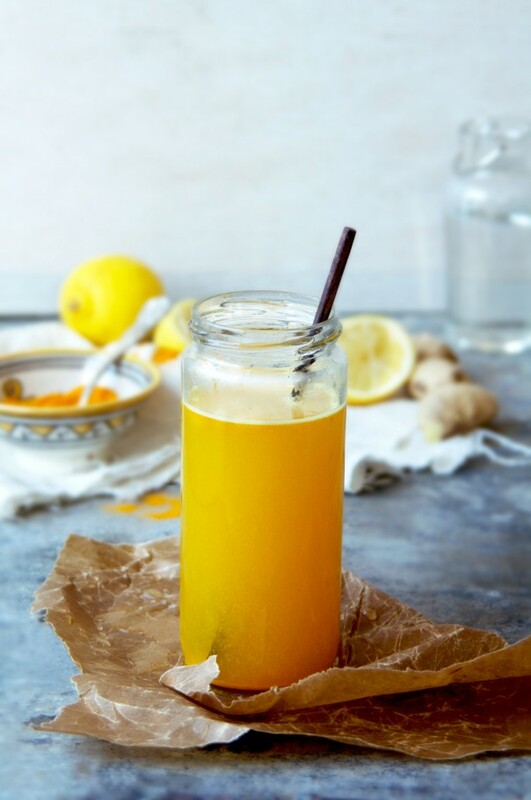 This drink is a real anti-inflammatory and cleansing one and when you start incorporating this routine in your life you will notice great effects. Bring 2 cups of water to a boil and while it heats up, put the rest of the ingredients including the 2 cups of cold water in your largest favorite tea cup or jar. Enjoy the drink during the morning or bring any leftovers GDD with you for a boost during the day. Share your Golden Detox Drink routine on Instagram using the #earthsprout hashtag! I would love it if you come over to Facebook and Twitter to tell me if there is anything you would like me to add/improve on this new site! You are the ones I wish feel loved, hugged and inspired when clicking around here.